Earlier this year USF MUMA College of Business reached out to Two Stories Media for a special corporate videography and animations project. We have a great working relationship with USF and we were happy to partner with them again. USF told us that they were renaming their Sport & Entertainment Management program. Initially, the details were kept top secret. About two weeks later, USF provided us with a blueprint of the story that we would be working on. This is when we learned that they would be renaming the program in honor of Jeff & Penny Vinik, owners of the Tampa Bay Lightning, community activists, and philanthropists. The program would be named the Vinik Sport and Entertainment Management Program. 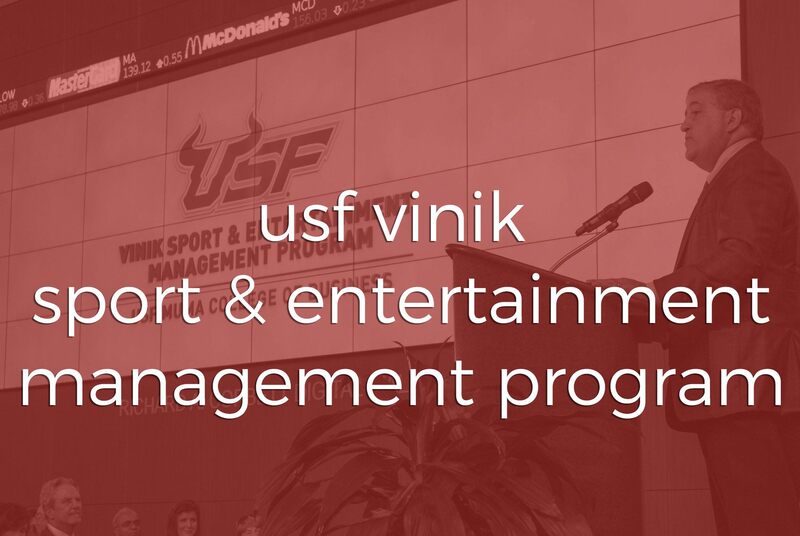 USF provided us with footage of the Viniks and USF. We created a cohesive video from the various footage which put our storytelling skills to the test. In addition, we coordinated with program alumni across the country for the success story videos showcased throughout the beginning of the dedication video. Logistics were tested and we also had to ensure that these alumni videos would fit the scheme of the overall dedication video. In addition to the dedication video, we created the USF Vinik Sport & Entertainment Management Program animation. The animation and video debuted on the 4K widescreen video wall at the presentation event. The dedication video as well as the animation shone as a focal points at the event. 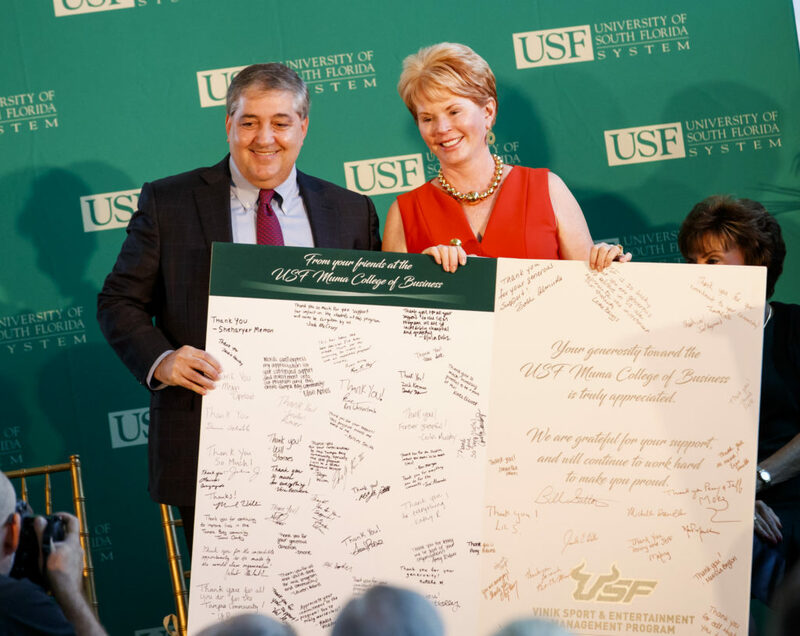 Congratulations to USF MUMA College of Business and Jeff & Penny Vinik! We wish you continued success! Photos provided by the USF MUMA College of Business. To view more photos from the event, visit their Flickr page.